🎄 Good Saturday morning, and welcome to December. "The last combat veteran to hold the office, President Bush came from a truly vanished world. Born to privilege, he had the most adventurous and courageous of spirits (he considered joining the Royal Air Force after Pearl Harbor since the RAF would take 17-year-olds)." "The war years, the move to Texas, the long apprenticeship in national politics and governance — it was a thrilling life, and he loved every bit of it." 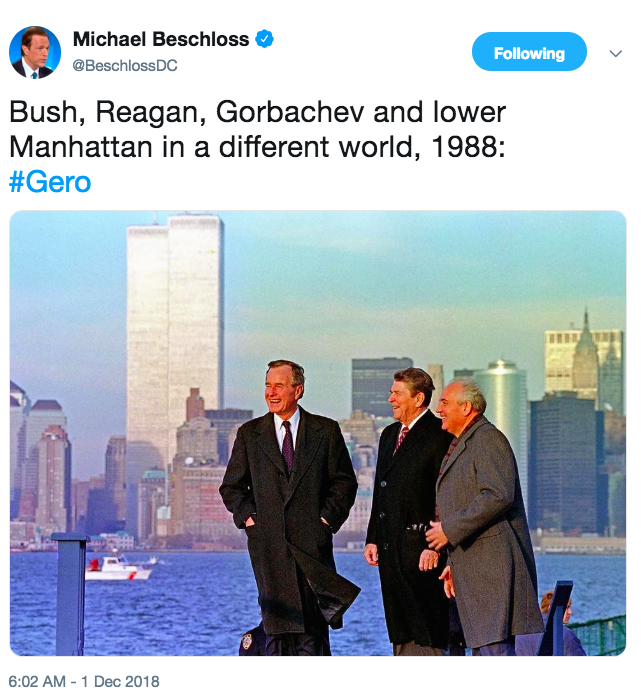 "To me," Meacham continued, "one of the most fascinating things about GHWB is how easily he could have turned out to be a conventional New England-born, Ivy League-educated Wall Streeter in a world circumscribed by the Council on Foreign Relations, the River Club, and commutes home to Greenwich." "He resisted that with all his might — and because of his insistence on a different life, he now, to borrow a phrase commonly attributed to William Seward, belongs to the ages." The statement from the former president's office: "George Herbert Walker Bush, World War II naval aviator, Texas oil pioneer, and 41st President of the United States of America, died on November 30, 2018." "He was 94 and is survived by his five children and their spouses, 17 grandchildren, eight great grandchildren, and two siblings." "Funeral arrangements will be announced as soon as is practical." Jeb, Neil, Marvin, Doro, and I are saddened to announce that after 94 remarkable years, our dear Dad has died. 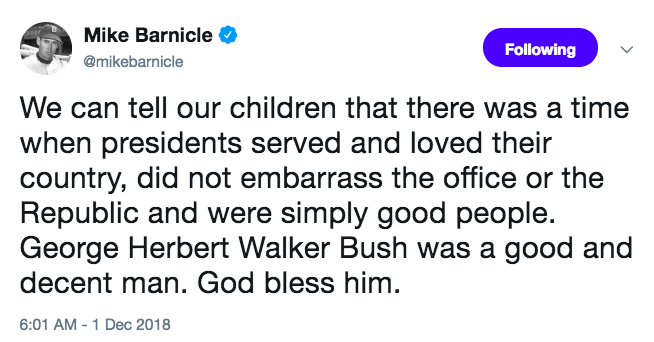 George H. W. Bush was a man of the highest character and the best dad a son or daughter could ask for. The entire Bush family is deeply grateful for 41’s life and love, for the compassion of those who have cared and prayed for Dad, and for the condolences of our friends and fellow citizens. George H.W. 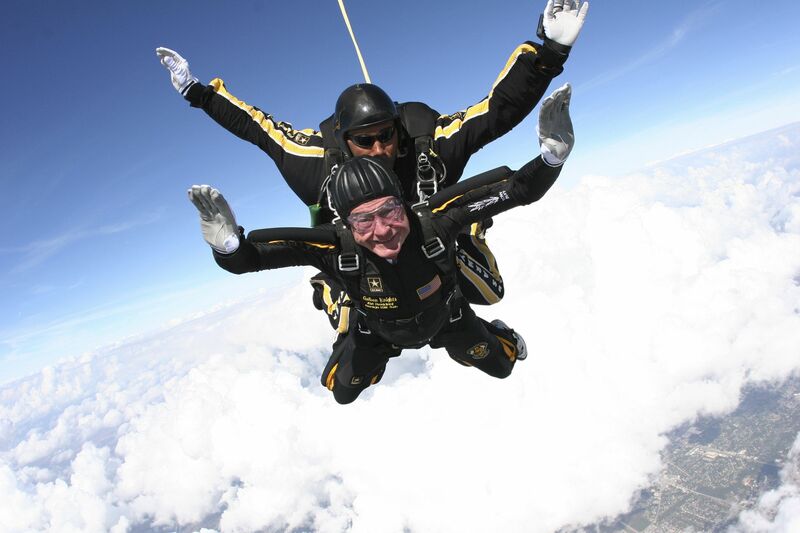 Bush’s life is a testament to the notion that public service is a noble, joyous calling. And he did tremendous good along the journey. Expanding America’s promise to new immigrants and people with disabilities. Reducing the scourge of nuclear weapons and building a broad international coalition to expel a dictator from Kuwait. And when democratic revolutions bloomed across Eastern Europe, it was his steady, diplomatic hand that made possible an achievement once thought anything but — ending the Cold War without firing a shot. It's a legacy of service that may never be matched, even though he’d want all of us to try. "George Bush, the 41st president of the United States and the father of the 43rd, who steered the nation through a tumultuous period in world affairs but was denied a second term after support for his presidency collapsed under the weight of an economic downturn and his seeming inattention to domestic affairs, died on Friday night at his home in Houston. He was 94." 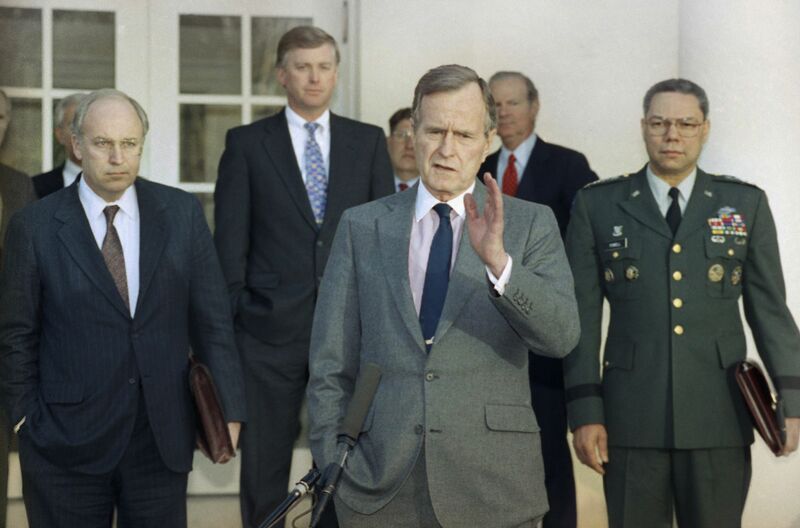 "Bush, a Republican, was a transitional figure in the White House, where he served from 1989 to 1993, capping a career of more than 40 years in public service. A decorated Navy pilot who was shot down in the Pacific in 1944, he was the last of the World War II generation to occupy the Oval Office." 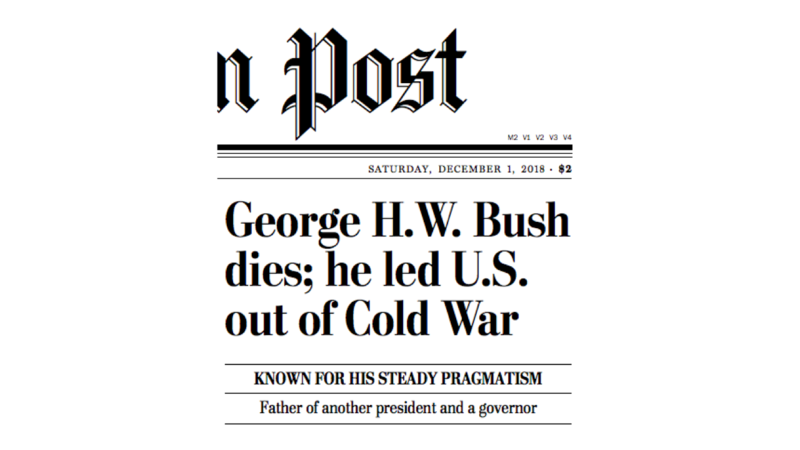 With sound judgment, common sense, and unflappable leadership, President Bush guided our Nation, and the world, to a peaceful and victorious conclusion of the Cold War. As President, he set the stage for the decades of prosperity that have followed. And through all that he accomplished, he remained humble, following the quiet call to service that gave him a clear sense of direction. 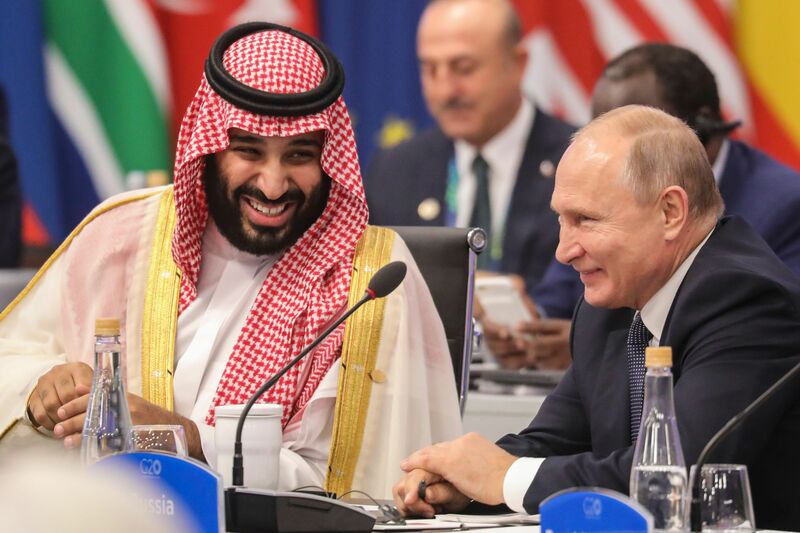 "Saudi Crown Prince Mohammed bin Salman sent at least 11 messages to his closest adviser, who oversaw the team that killed journalist Jamal Khashoggi, in the hours before and after the journalist’s death in October, according to a highly classified CIA assessment," The Wall Street Journal's Warren Strobel reports (subscription). "The pre­vi­ously un­re­ported ex­cerpts re­viewed by the Jour­nal state that the CIA has 'medium-to-high con­fi­dence' that Prince Mo­hammed 'per­son­ally tar­geted' Khashoggi and 'prob­a­bly or­dered his death.' It added: 'To be clear, we lack di­rect re­port­ing of the Crown Prince is­su­ing a kill or­der.'" "The elec­tronic mes­sages ... were to Saud al-Qah­tani [who] su­per­vised the 15-man team that killed Mr. Khashoggi and ... was ... in di­rect com­mu­ni­ca­tion with the team’s leader in Is­tan­bul, the as­sess­ment says." "The con­tent of the mes­sages be­tween Prince Mo­hammed and Mr. Qah­tani isn’t known, the doc­u­ment says. It doesn’t say in what form the mes­sages were sent." Why it matters: "The CIA last month con­cluded that Prince Mo­hammed had likely or­dered Mr. Khashog­gi’s killing, and Pres­i­dent Trump and lead­ers in Con­gress were briefed on in­tel­li­gence gath­ered by the spy agency." "Trump af­ter­ward ques­tioned the CIA’s con­clu­sion about the prince, say­ing 'maybe he did; and maybe he didn’t.'" "HRH the Crown Prince com­mu­ni­cates reg­u­larly with var­i­ous se­nior of­fi­cials within the Royal Court on dif­fer­ent mat­ters." "At no time did HRH cor­re­spond with any Saudi of­fi­cials in any gov­ern­ment en­tity on harm­ing Ja­mal Khashoggi, a Saudi cit­i­zen." 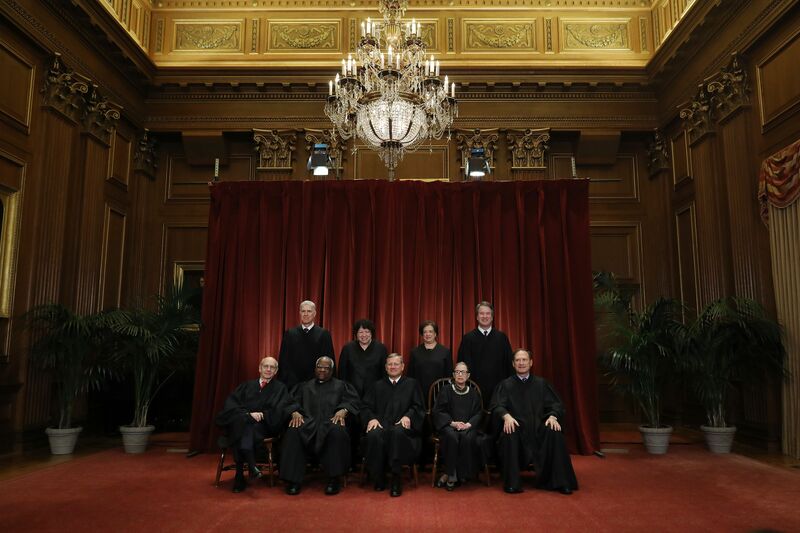 "We con­tinue to cat­e­gor­i­cally re­ject any ac­cu­sa­tions based on spec­u­la­tions." 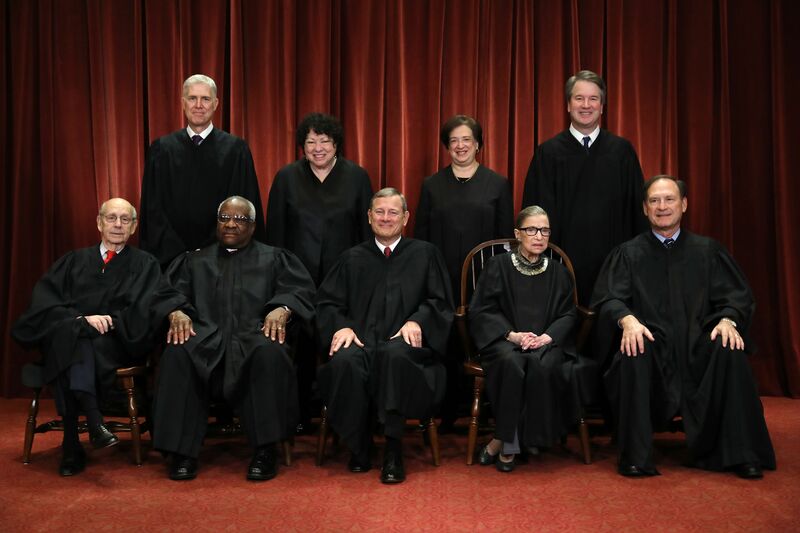 Front, left to right: Justice Stephen Breyer, Justice Clarence Thomas, Chief Justice John Roberts, Justice Ruth Bader Ginsburg, Justice Samuel Alito Jr.
Back, left to right: Justices Neil Gorsuch, Sonia Sotomayor, Elena Kagan and Brett Kavanaugh. "One [George Papadopoulos] lied about his knowledge of Russian-hacked emails, another [Michael Cohen] about a Russian real estate deal, a third [Michael Flynn] about dialogue over sanctions with a Russian ambassador." 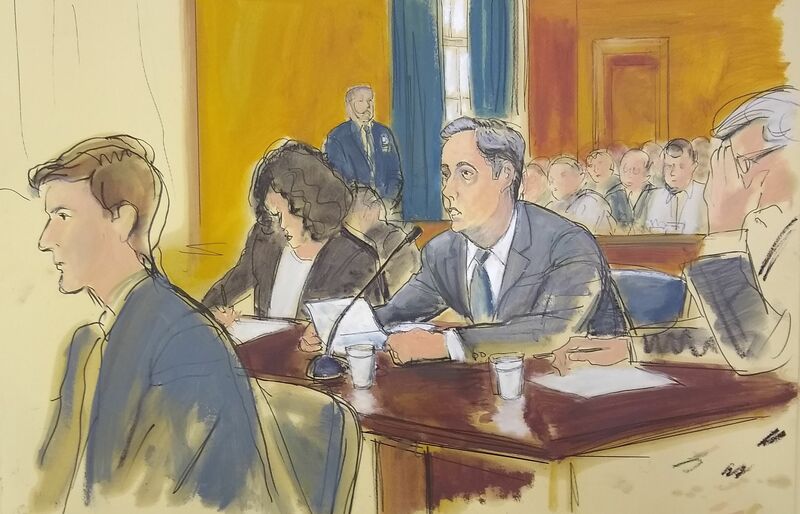 "A pattern of deception by advisers to President Trump, aimed at covering up Russia-related contacts during the 2016 campaign and transition period, has unraveled bit by bit in criminal cases brought by ... Mueller." Why it matters: "The lies to the FBI and to Congress ... have raised new questions about Trump's connections to Russia, revealed key details about the special counsel's findings and painted a portrait of aides eager to protect the president and the administration by concealing communications they presumably recognized as problematic." "The false statements cut to the heart of Mueller's mission to untangle ties between the Trump campaign and Russia and to establish whether they colluded to sway the election." "They concern some of the central questions of the investigation, including why the incoming Trump administration discouraged Russia from retaliating over sanctions imposed for election hacking; who knew what when about illegally obtained Democratic emails; and how plans for a Trump Tower in Moscow came together and fell apart." "More lies followed as prosecutors this week accused former Trump campaign chairman Paul Manafort of lying even after his guilty plea." "And a draft plea agreement against another Trump supporter, conspiracy theorist Jerome Corsi, accused him of misrepresenting a conversation with Trump confidant Roger Stone about WikiLeaks, which released thousands of stolen emails in the run-up to the election to harm the Clinton campaign." What's next: "More false statement charges could be coming. Sen. Richard Burr, chairman of the Senate intelligence committee, said the panel has made referrals to prosecutors and cited Cohen as an example." "Apple had been the world's most prosperous firm since claiming the top spot from Exxon Mobil earlier this decade." "Microsoft surpassed Apple briefly a few times this week, but didn't close on top until Friday, with a market value of $851 billion to Apple's $847 billion." "Microsoft hadn't been at the top since the height of the dot-com boom in 2000." "Microsoft’s highest closing value in 1999, when translated into today’s dollars, was roughly $901 billion." "They can say all they want that they take security seriously, but they don’t if you can be hacked over a four-year period without noticing." 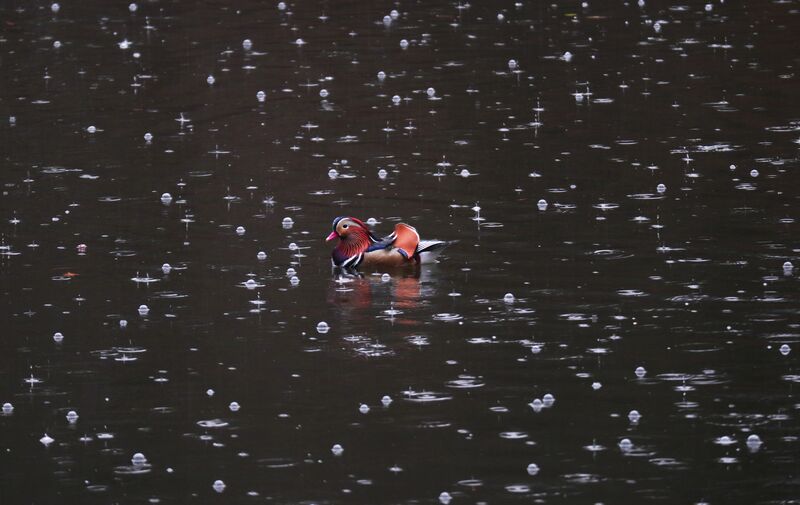 Seven weeks (51 days) after first being spotted on Oct. 10, the now-famous Mandarin duck — nicknamed "Mandarin Patinkin" as its social-media star rose — floats on a pond in the rain in Central Park yesterday. "The male Mandarin duck, native to East Asia, should not be in the middle of Manhattan. And yet, against all odds, he is here. And he is dazzling." "His head looks like a punk rocker’s multicolored mohawk. Beneath his beady black eyes, fringed orange feathers splay across his dark purple chest. His bill is colored a striking hot pink and sits under an emerald green forehead." "These ducks are commonly found in China and Japan — not the United States. Plus, ducks aren’t allowed to be kept as pets in the city."